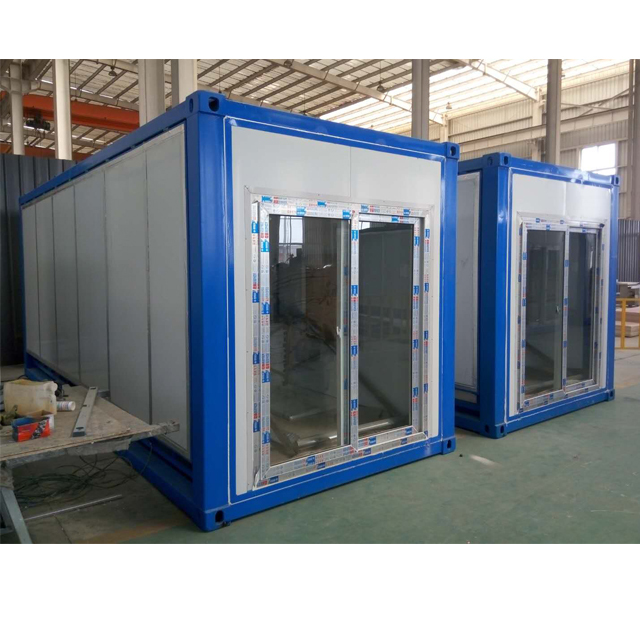 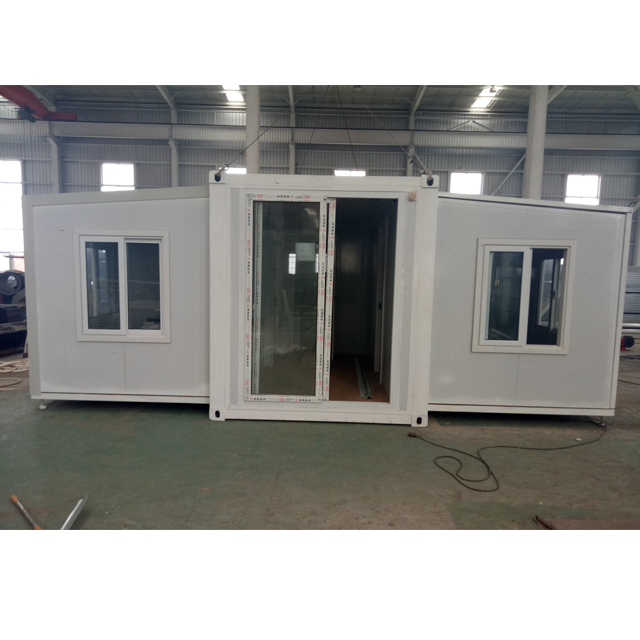 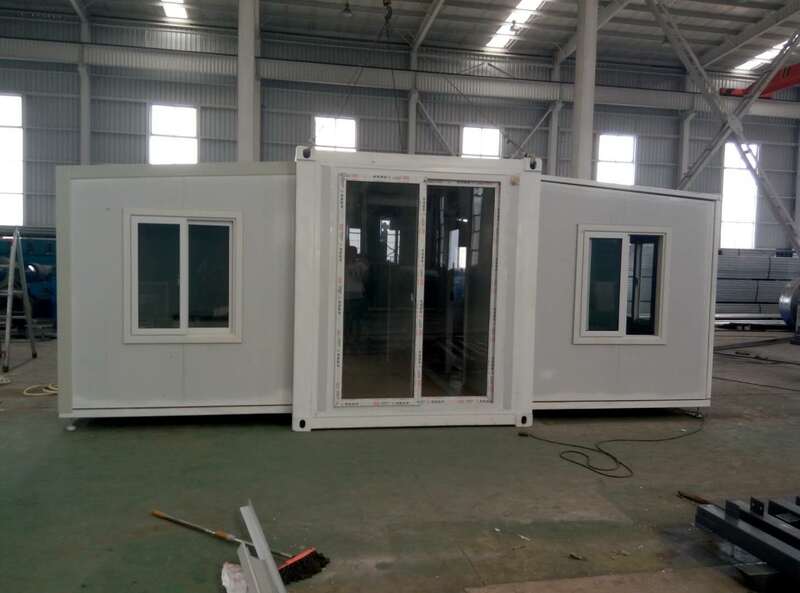 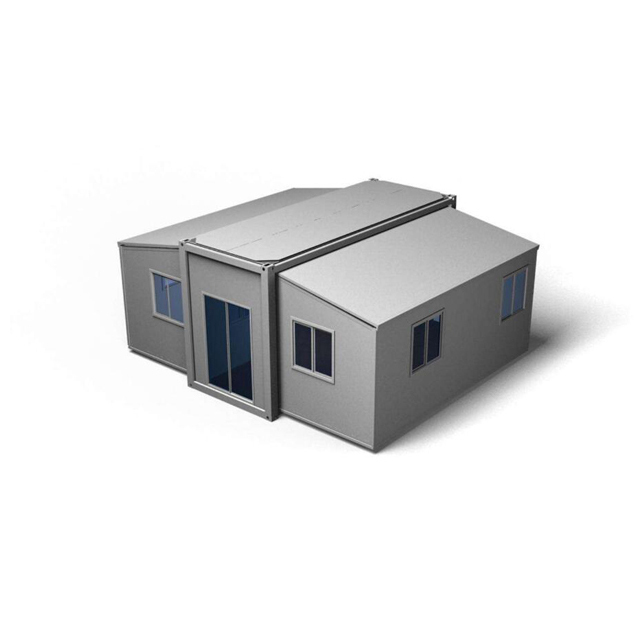 Expandable container house that wall made of sandwich panel ，there are EPS, Rook wool ,glass wool and PU insulation sandwich panel, That thickness have 50mm,75mm and 100mm. 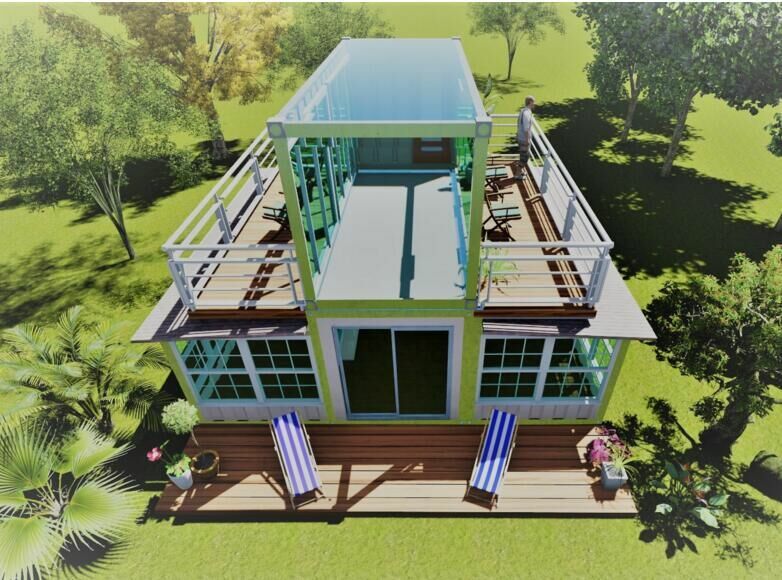 The Layout with a Toilet •include roof, floor, wall panels •with 1 glass sliding door（W1500*H2000mm), 1 toilet door (700*2000mm), 4 sliding windows（800*1100mm) and 1 bathroom small window (600*600mm) •with electricity, DB box, switch, sockets, A/C sockets, wires, etc. 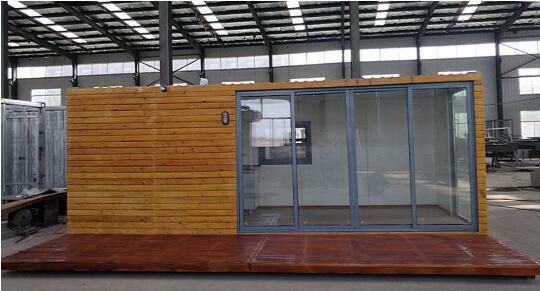 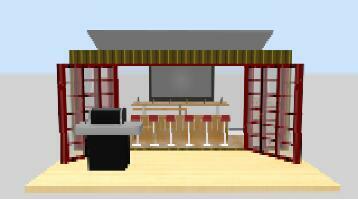 •with 1 bathroom (1 toilet, 1 shower, 1 washbasin, water pipes).